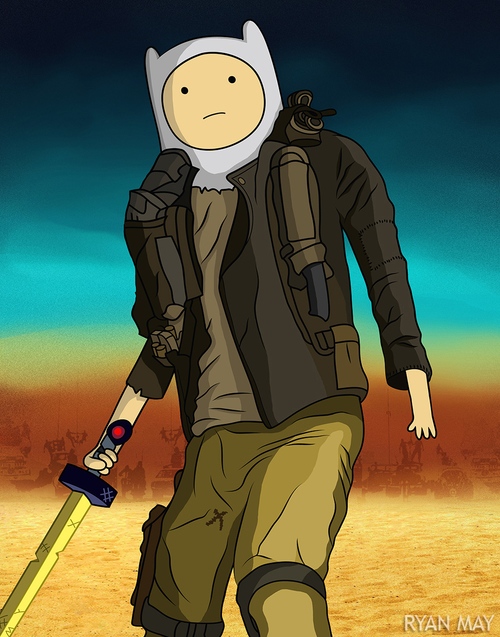 It’s Adventure, no wait, Fury Time! 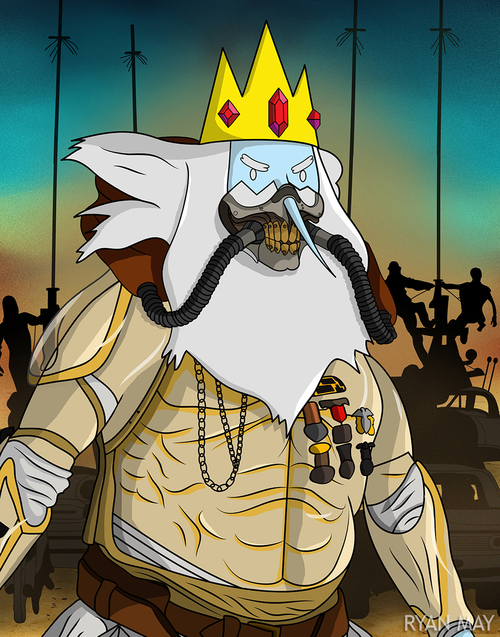 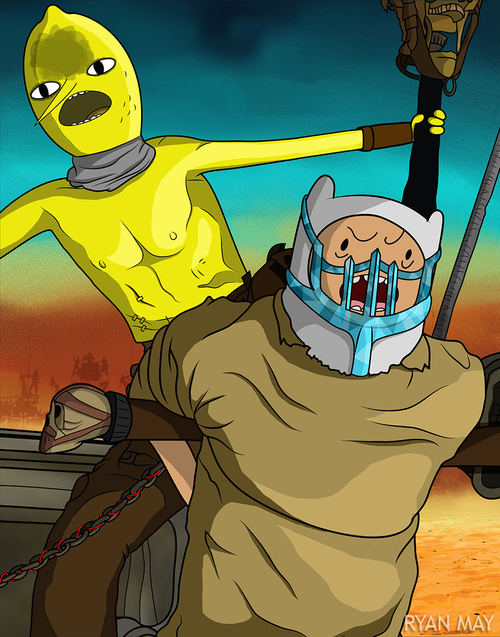 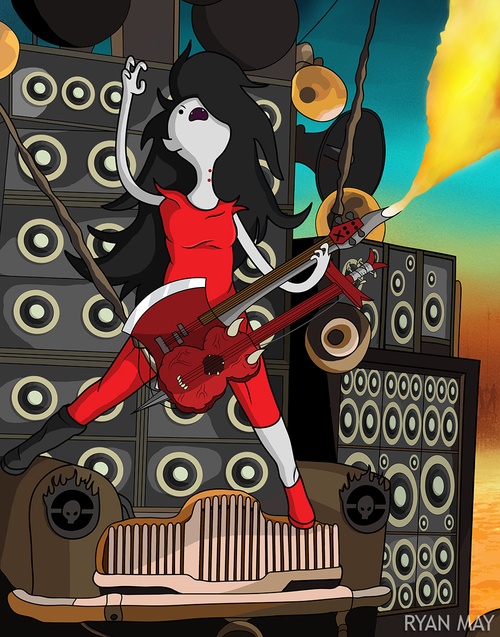 Artist Ryan May has re-imagined several characters from Adventure Time as the Mad Max: Fury Road cast. 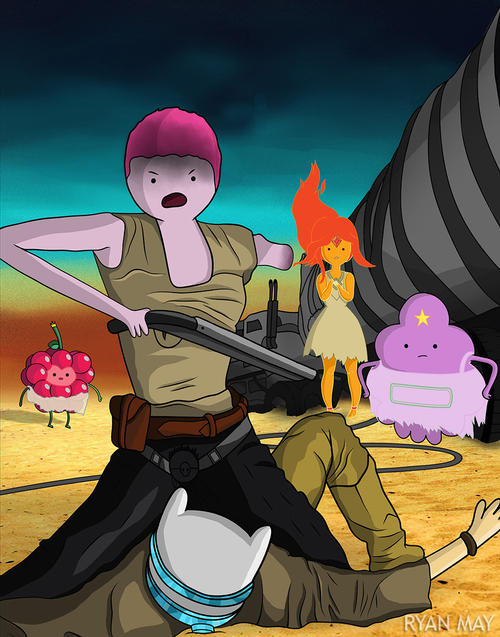 Finn is Max, Princess Bubblegum is Furiosa, and the Ice King Immortan Joe. 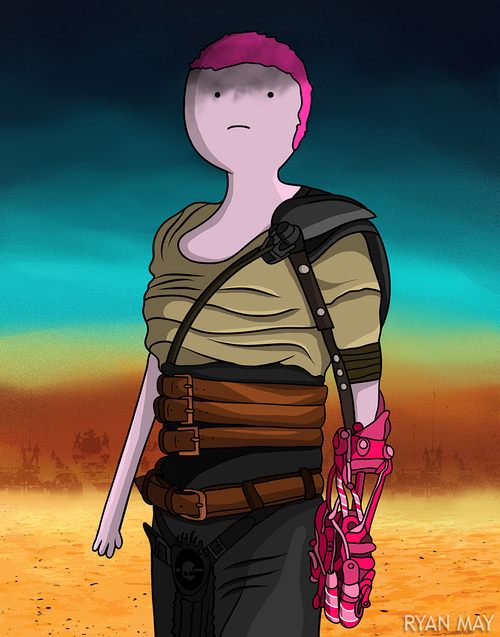 You can buy prints of May’s mashups on his store or through Etsy.